Do you remember, waaay back when we held a Kickstarter campaign to make Summer of Sonic 2016 happen (it feels like so long ago), we had a third stretch goal that we didn’t quite make? Summer of Sonic ended up raising £31,625. Close, but no cigar… BUT, that wasn’t the end of the story. The team behind this year’s show clubbed together post-campaign to plump up the extra cash needed to secure a very special guest, who we are extremely proud to announce to you today. 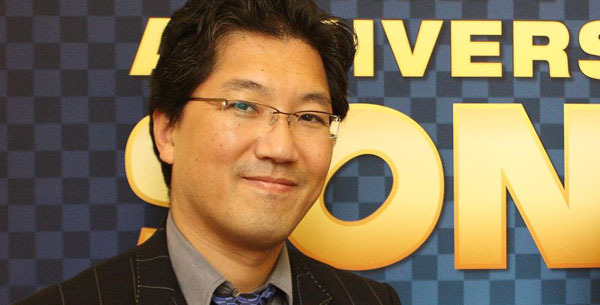 Ladies and gentlemen, please welcome the return of former Sonic Team head and original programmer of Sonic the Hedgehog, Yuji Naka, to Summer of Sonic! Naka-san previously attended Summer of Sonic 2011, to celebrate Sonic the Hedgehog’s 20th Anniversary – and now he’s returning to see the blue blur into his 25th. For many fans, Naka-san is a hero who programmed some of their favourite video games as a child; even during the Sega Saturn and Dreamcast era, the developer was behind some of the most iconic non-Sonic games of the time, including NiGHTS into Dreams and Phantasy Star Online. Today, Naka-san leads his own independent studio called Prope, but still loves the hedgehog he helped create. This announcement completes our headline guest roster, which includes legendary Sonic Team head and current Sonic producer, Takashi Iizuka! During the day, the two superstars will be available to meet and greet at the signing desks, and taking part in a special Q&A on the main stage where we discuss Sonic’s past, present and future. Do You Have a Question for Iizuka-san and Naka-san? We are accepting fan questions for the Iizuka-san and Naka-san Q&A panel that will take place live on stage. If you have a question, please post it as a comment to this post. While we can’t ask every question, we will do our best to fire the most interesting ones to Naka-san and Iizuka-san. This is a rare opportunity to get your most burning question about Sonic answered by the two men behind Sonic’s past and future, so make sure you don’t miss your chance! You thought we had run out of guests to announce, right? Well, we’re not done yet! We’re excited to reveal two new special guests for Summer of Sonic 2016, and you might know them for their hard work behind some of the apps you may have sitting in your mobile device. Introducing Hardlight Studios, the UK-based developer that brought you Sonic Jump, Sonic Dash and Sonic Dash 2: Sonic Boom. Hardlight Studios is celebrating a huge milestone this year – 200 Million Downloads for Sonic Dash – and will be celebrating at SoS with a surprise on stage! You will also get a chance to meet and greet with James Booth, the producer of Sonic Dash and Sonic Jump Fever, and Ruby Urlings, the producer of Sonic Dash 2: Sonic Boom, at a dedicated table area within the show floor. There will be exclusive Sonic Dash posters available, specially printed for Summer of Sonic, that James and Ruby will be able to sign for you too. James and Ruby are also huge Sonic fans, just like us, so feel free to chat to them about their favourite games (besides their own, of course). We look forward to hosting Hardlight at Summer of Sonic 2016! Event Announcement: Jam With Jun! Hope you are all still hyped from our announcement that Sonic Mania will be playable at Summer of Sonic 2016! We will have more details on this very soon. With less than two weeks to go, we have another event announcement today! We are ecstatic to announce that Summer of Sonic will once again play host to one of our most popular mid-day events ever: Jam With Jun! 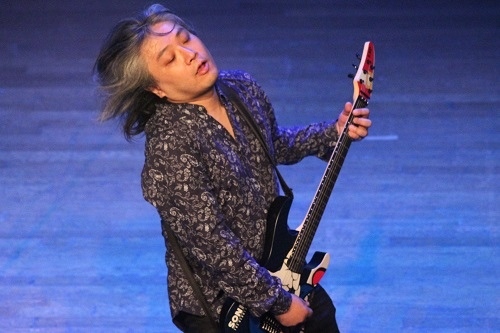 Jun Senoue will be taking to the Summer of Sonic main stage, this time to perform some of the most memorable and rockin’ songs from the Sonic Adventure era! We want you guys to join in on vocals, so bring along those singing voices! Tickets will be issued imminently! Thank you all for your patience on this; they should (barring any major technical hitches!) be issued this week, as we are adding the finishing touches to the issuing system. We appreciate you are eager to get them! Once issued, you will be able to either print off a physical ticket which you will need to bring with you to the event, or if you have a mobile device, you can access your mobile ticket through your internet browser and show this at the door instead. …and yet we still have more to announce! Stay tuned! Event Announcement: Mike Pollock Q&A With Turbo Drive Live! Greetings ladies and gentlemen! 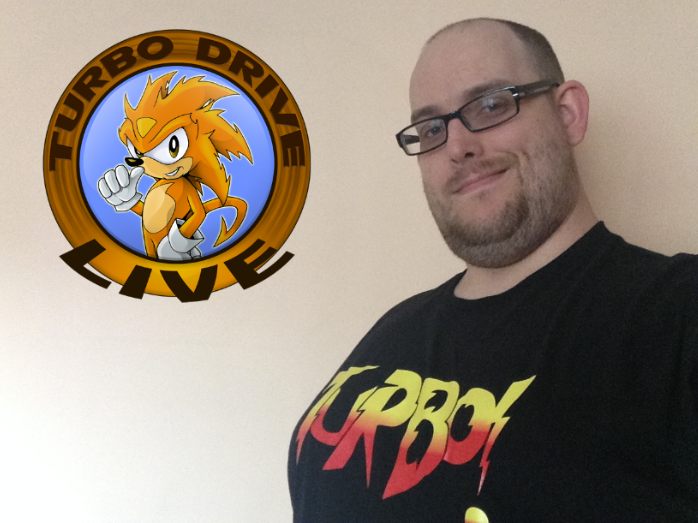 John “Turbo” Finlay here, host of SEGASonic Radio live show ‘Turbo Drive Live’. It’s my pleasure to announce that Summer of Sonic 2016 will play host to a special one-on-one Q&A with one of the longest-running English voice actors currently active in the Sonic the Hedgehog series, Mike Pollock. 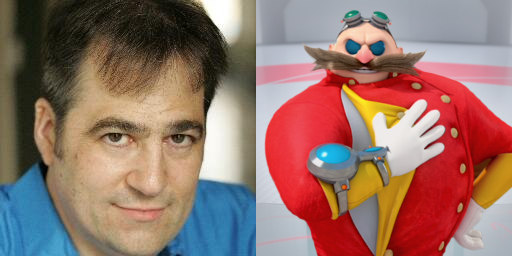 While best known for his portrayal of Sonic’s arch nemesis, Dr Eggman, for thirteen years and counting, Mike is also known for his talents in the Sonic Boom TV series as Mayor Fink and Fastidious Beaver. Join me and Mike in this special Q&A, where we take a look back at his life and career – finding out how the boy from New York grew up to start his media career, which would lead to a break into anime voice acting, right up to his time with 4Kids and the present day. I hope to see you all there, when the Scotsman meets the Eggman in this very special one-off show. Author SvendPosted on 25th July 2016 8th August 2016 Categories SoS 2016Tags Eggman, Mike Pollock, Q&A, Summer of Sonic 2016, Voice Actors1 Comment on Event Announcement: Mike Pollock Q&A With Turbo Drive Live! It’s been a very exciting weekend for Sonic fans – if you’ve been keeping up with the latest blue blur news, you’ll have seen and heard all about the cool new things revealed by our friends at SEGA America during Sonic’s 25th Anniversary Celebrations in San Diego. 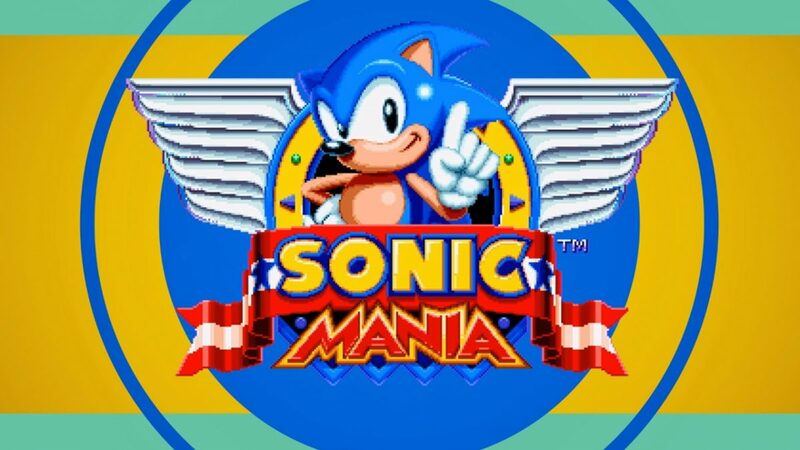 We can proudly announce that Sonic Mania, a new 2D adventure by the minds behind the re-release of Sonic CD, will be available to play on the Summer of Sonic show floor. 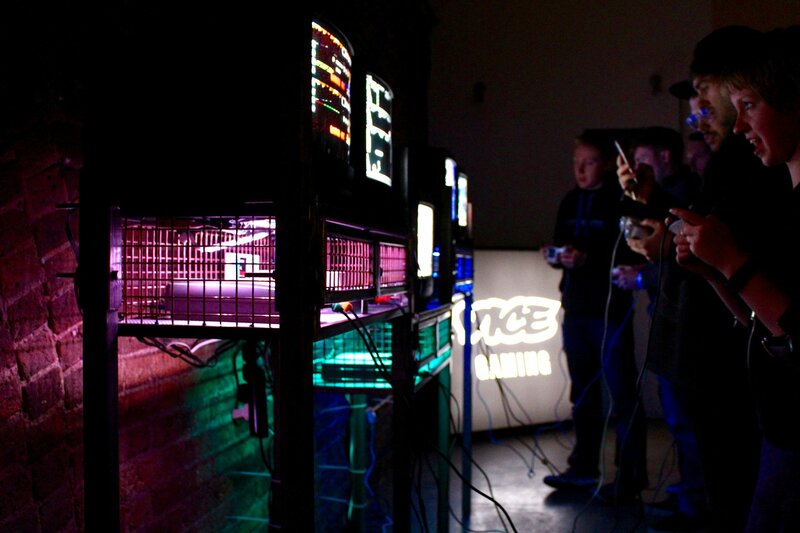 We will have a number of PCs hooked up ready for you to play throughout the day. Announced during the Sonic 25th Anniversary Celebration, this is a new game that doubles as a love letter to the 16-bit generation. Classic levels such as Green Hill Zone are given a new twist, and are joined by all-new stages like Studiopolis. Sonic also has a brand new move called the Drop Dash, which allows him to charge through obstacles as soon as he hits the ground! Check out the trailer above and we hope you’ll look forward to playing this at Summer of Sonic 2016. This will be a queued event, due to the imminent popularity of the game, so please bear this in mind. Sonic Mania won’t be the only game on show within Summer of Sonic’s Game Zone. Our friends at SEGA and Nintendo are planning to provide a number of 3DS pods with demos of the latest in the Sonic Boom series, Fire & Ice. Arriving later this year, the game was showcased at E3 2016 to a number of positive reviews from the Sonic community, so this will be a rare chance to see the game for yourself before release. This being Sonic the Hedgehog 25th Anniversary, we felt it was only natural to celebrate the journey that the blue blur has taken over the years. This is why Summer of Sonic has teamed up with Joypad to give fans a chance to replay a selection of titles from Sonic’s history! A lot of these stations will include multiplayer titles so you can enjoy playing Sonic with your fellow show-goers. More updates to come! See ya soon! Greetings everyone! Dave here and I’m back with everybody’s favourite convention game show of Sonic themed madness, mess and mayhem, Never Mind the Buzzbombers! Two teams will do battle in a series of games and challenges designed to prove who has the greatest knowledge of Sonic the Hedgehog. Our first team captain is none other than Svend “Dreadknux” Joscelyne! 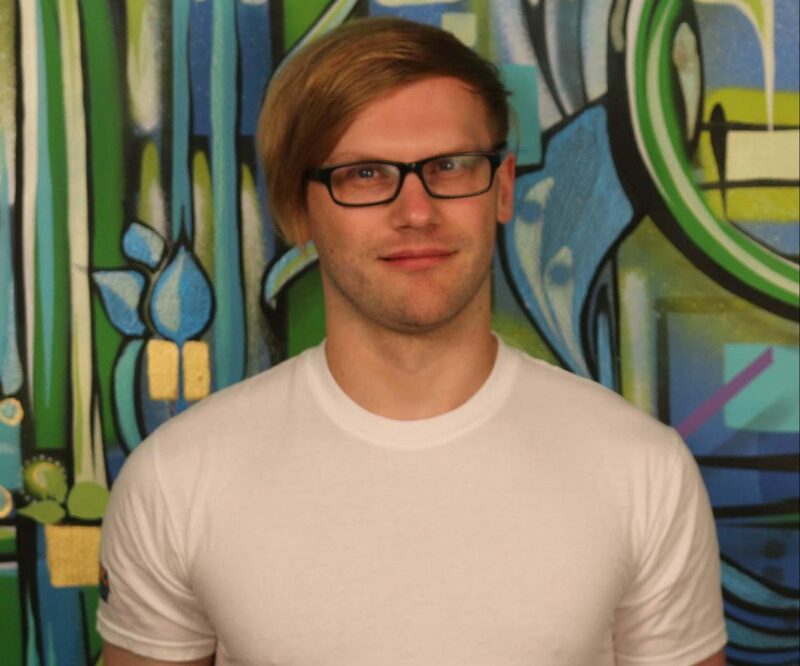 Svend is back and ready to pit his knowledge of all things Sonic against his opponent and second team captain Dr Adam Tuff (that’s right, one of our team captains is now a Dr and if he thinks that’s going to help him then he came to the wrong game show!). Each team will be joined by a special guest who will assist them in victory. Who are those special guests? Well that’s a surprise! Each team roster will be completed by two lucky guests from the audience! If you want a chance to help your team captain to victory and win some amazing prizes in the process. “How do I get picked?” I hear you ask. Just make sure you’re at the main stage for the start of the event, and make sure the Captains know you are the one to pick! Feel free to hold up signs, hire a sky writer, or invade the venue with a badnik army – the most stand out guests in the audience are the most likely to get picked! Will Svend return to reclaim his crown!? 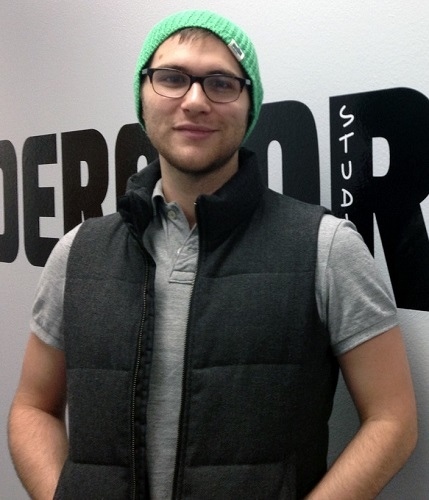 Will Adam design and build us a Death Egg!? Will the air conditioning bill be paid!? Be sure not to miss this year’s competition! Hello ladies and gentlemen, my name is Pete “TitansCreed” Nethercote, here to talk to you once more about another panel happening at this years Summer of Sonic event! 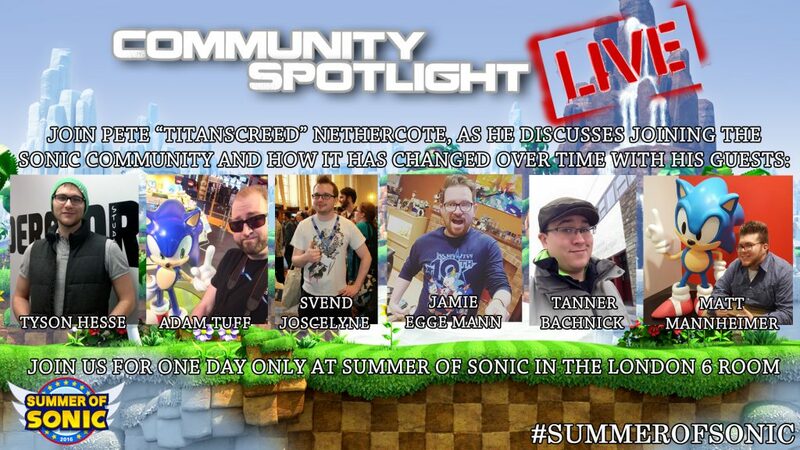 Once upon a time, I hosted an interview segment on Sonic Wrecks (now Last Minute Continue) which then moved to YouTube called the Community Spotlight, this year, I’m proud to announce it is returning for a one off show at Summer of Sonic, now aptly dubbed, Community Spotlight LIVE. Joining me for this one off greeting is a cavalcade of names within the Sonic community who have agreed to talk with me about the Sonic community and how they have joined and interacted with it over the span of the last several years. Those people are: Svend “Dreadknux” Joscelyne and Adam Tuff of the Sonic Stadium, Jamie Egge Mann and Tanner Bachnick of The Sonic Show, Matt Mannheimer of Tails Channel and Tyson Hesse of Archie fame. It is a great honour to be joined by these names, and we welcome you to join us in the London 6 room at the Summer of Sonic 2016 event. We will be taking some questions from what crowd we have, as well as some questions submitted to questions@summerofsonic.com. 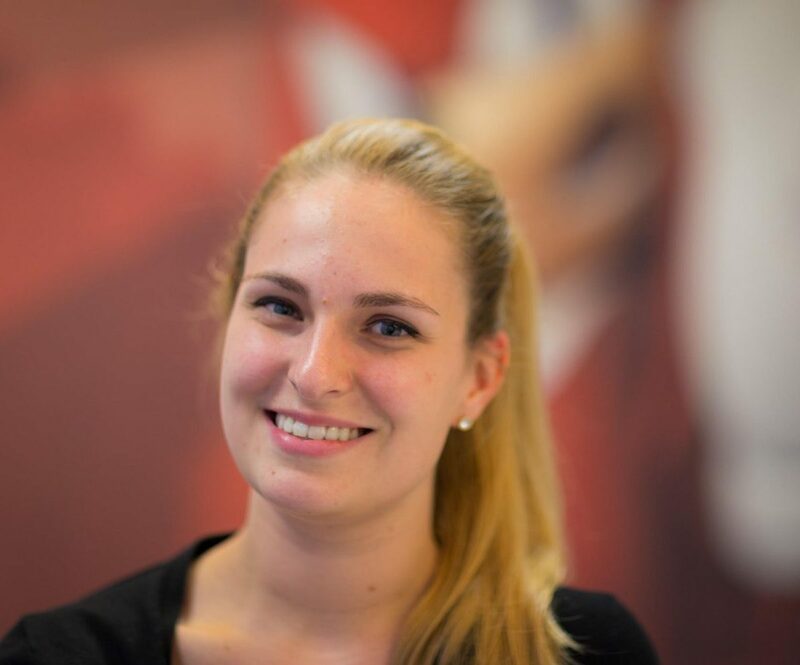 I, as well as my guests look forward to seeing you at the ILEC centre on August 6th! Crush 40 will once again be hitting the main stage at Summer of Sonic stage this year, performing their hits from over 15 years of Sonic the Hedgehog soundtracks! As with past events, the performance will close out the show, so be sure to stick around and rock out with Jun and Johnny until the end of the day! Hello everyone, Kevin “AAUK” Eva here! You may remember me from my days as SEGA of Europe Community Manager, and a time when Werehogs roamed the land. I have been resurrected by the powers of Summer of Sonic to bring you not one, but two announcements! Summer of Sonic is unique and amazing event, starting as a fan gather that eventually forged a fantastic partnership between SEGA and the Sonic the Hedgehog fandom. This year marks the tenth anniversary of Summer of Sonic, from it’s inception as an online event created by Svend Joscelyne, and ten years since the first idea of Summer of Sonic as a convention was coined in a little tea room in Nottingham. At Summer of Sonic 2016 we invite you to join myself along with Summer of Sonic Coordinators Svend Joscelyne and Adam Tuff for a special panel to discuss the History of SOS. From upstart early days to present, relive ten years plus of funny moments and untold behind the scenes stories both from the community and SEGA sides about the creation of a convention that defied convention. As our roster of events has grown so massive, for the first time in Summer of Sonic history, we will have a dedicated second stage which will play host to panels and interviews throughout the day. Yup, Summer of Sonic is essentially going to have a second track. We have limited space in the second second stage room, so entry will be allowed on a first-come, first-served basis. There are only 4 weeks until Summer of Sonic 2016 – we hope you are all getting a little bit excited…we certainly are! To kick-start our update today, we have a brand new guest announcement! We are ecstatic to be able to announce that Archie comic artist Tyson Hesse will be in attendance at Summer of Sonic 2016! Tyson’s work on the Archie series extends across the main comic series to the Boom and Universe spin-offs, and is currently involved in the Sonic Mega Drive comic series. Tyson gained notoriety through his web comic Boxer Hockey, and has since worked on such comic titles as the Amazing World of Gumball, Bravest Warriors and the Archie’s Megaman titles. We look forward to hosting Tyson at Summer of Sonic 2016! We know you folks are awesome artists, so once again the art contest will be returning to the Summer of Sonic! We invite all of our guests to submit art they draw on the day to our competition, with the chance to win some awesome prizes! Our art corner will be suitably stocked with pens and paper, but feel free to bring your own stationary if you wish. We will have two competition age brackets – 15 & under, and 16 & over. To enter, your art piece must be drawn from scratch at the convention and not prepared in advance. More information will be available on the day, including the submission deadline. We have had about 60% of our invitation holders log on to the Summer of Sonic hub. If you have not yet done this, please check your emails (and your spam) for your invitation and log in as soon as possible. We cannot issue your Summer of Sonic ticket unless you have logged into the hub. If you have not already, please add our email address to prevent the all further correspondence, including tickets, being sent to your spam. More exciting updates coming very soon! Lots of updates and announcements to make today, so lets get started! You should have all by now received an email inviting you to set up your account on the Summer of Sonic hub (if you haven’t, check your spam folder just in case!). The hub resource provides the same function as the Kickstarter survey, with several advantages. The hub is your one-stop place to go for all the information you need about Summer of Sonic – including accommodation, schedules of the day (which will update once we have it finalised), and a confirmation of your rewards. You can also request your T-shirt sizes if you opted for them as rewards, as well as set the main name that will appear on your ticket, which will be added there later this month! If you backed for the SONIC CHAOS rewards tier, you can also update your delivery address for your T-Shirts. Please note that tickets will be distributed through the hub, so if you’re coming to the event you should set up your account following the instructions in our welcome email. If anything appears incorrect in your rewards, or there’s anything you’d like to know that isn’t covered in the FAQs, please contact us via support@summerofsonic.com. We are sad to announce the withdrawal of James Wallis from our Summer of Sonic line-up. Unfortunately James will be unable to attend the event due to unforeseen circumstances. We apologise for any disappointment caused by this. We do however have two more UK guests to announce today! Continuing our ever-expanding line up of Sonic the Comic Special Guests, we are delighted to announce the attendance of Richard Burton at this year’s event. 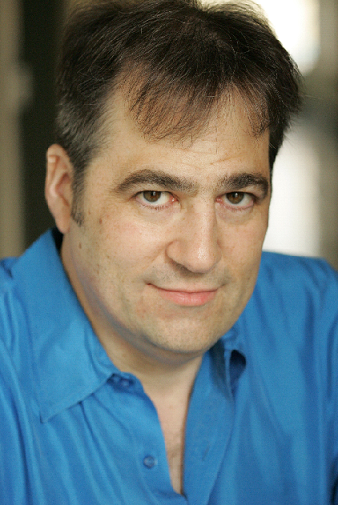 Richard is a Comic book writer and editor, and has the claim to fame of being crucial in the creation of Sonic the Comic, as well as the inaugural editor and the creator of Megadroid. Richard’s long-lasting career in the British comics industry includes co-founding the Eagle Awards, a stint as Tharg in 2000AD, and being immortalised as BURT the editorial droid! We welcome Richard to his first Summer of Sonic! 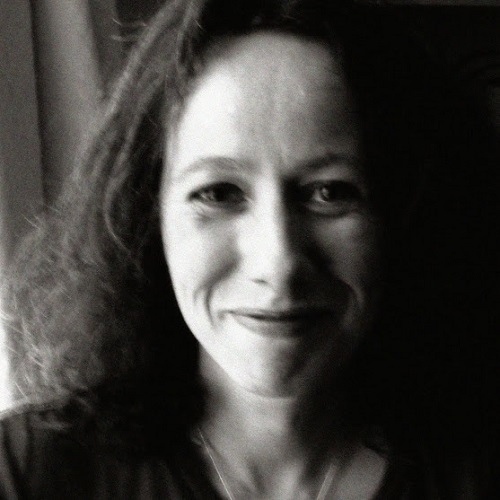 Completing our Sonic the Comic headliners for 2016 is STC Editor Deborah Tate! Deborah has the accolade of being the longest running editor of Sonic the Comic for in excess of 100 issues, and was the driving force behind many of the story arcs that graced the issues. Deborah has been praised for her direction of Amy Rose’s character in Sonic the Comic, as well as her positive attitude towards engaging the STC fanbase. We are pleased to have another Sonic the Comic legend in attendance at this year’s Summer of Sonic! Thank you to those who have submitted animations for Summer of Sonic 2016. We are in the final processes of making the decision of which we would like to use during the day as either showcases or cycled animations during the day, and we will get back to all of you very soon! We have finalised our T-shirt design, and here it is in all of it’s glory! T-shirts (and 25th Anniversary coins) will be available to collect at the event from the rewards desk in the lobby of the venue. We have had several enquiries about remaining tickets for Summer of Sonic 2016. After discussing the situation with the venue, we are able to offer a small amount of additional tickets for this year’s event to those who missed out on the Kickstarter. We are prioritising those who have already been in touch in order to fulfill their requests, and the rest will be distributed on a first-come, first-served basis. Please email support@summerofsonic.com with your request for more information. Summer of Sonic 2016 Live Stream! If you can’t get to Summer of Sonic but want to join in the festivities, then have no fear! The guys at The Sonic Show and RadioSEGA are returning once more to bring you live coverage of Summer of Sonic 2016 from the comfort of your own home. We’ll have full coverage of every main stage event, great music and views of the venue, as well as a team of hosts to keep you entertained throughout! Join the event in the chat room to send your messages and chat to others watching on the live stream. Phew! And we STILL aren’t done with all of our announcements, not by a long shot! Stay tuned for more very exciting updates soon.